Last June, Mila, my niece Lily and I got stranded in Singapore because Mila had only 6-months left on her passport to enter Bali. Luckily, I had some good friends living there and we ended up staying with them for a week until we received Mila’s New-Zealand passport. During that time, my friend Sofia took me to a lovely home decoration shop where I spotted some really beautiful, handcrafted ceramics by Zakkia Homewares. 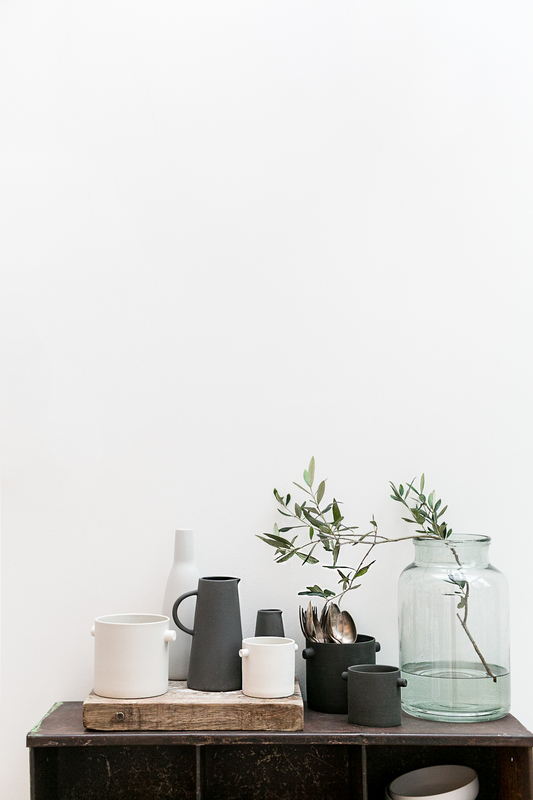 A Sydney-based studio founded by Swedish Sara Lundgren, Zakkia Homewares produces beautiful handcrafted ceramics and objects to love and cherish for a lifetime. I fell hard for the two black ceramic pots (above on the right) and really pondered whether I should be backpacking for three weeks with ceramics in my bag. In the end, common sense prevailed (for once!) and I just took a picture of the brand to look it up later. Once back in Europe, I spent a lot more time on Zakkia Homewares website. When I found out that our home in London was being photographed to feature in a magazine, I immediately thought of them to complement the recent rugs I put in the lounge and our bedroom and add warmth and textures to our home. The shape and matte finish of these ceramics have a lovely, soothing organic feeling. I think initially they are sold to host small plants and succulents but I have been trying them around the house and they work beautifully against the walls of our tadelakt bathroom, or our bedroom with white floorboard. 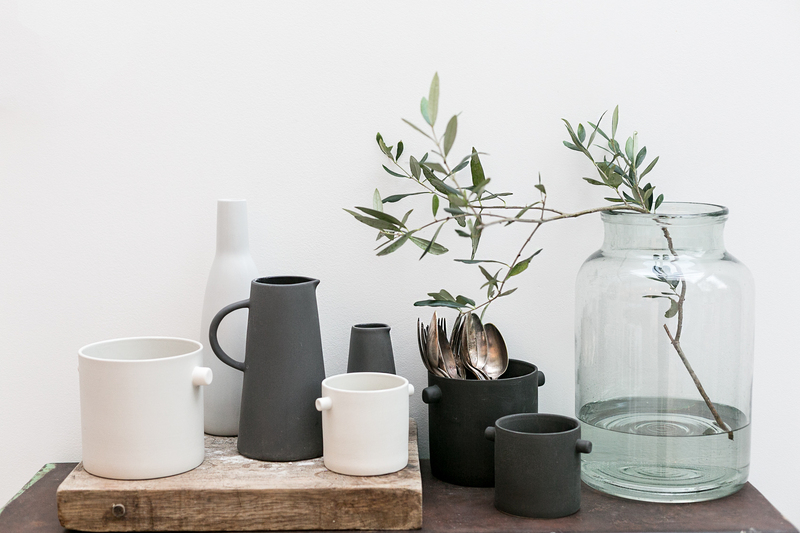 The other ceramics I got are these beautiful stoneware dark grey jug and matching milk jug from H&M Home. So to make room for all these lovely goodies, I’m letting go of a few things on BODIEandFOUpreloved like this beautiful white carafe designed by Nelson Sepuvelda. Great post, thanks. Made me laugh about pondering backpacking with ceramics for 3 months 😂 Totally relate to that kind of irrational thinking when you find something you love! I have history….once when we were living in Bristol, I attended a trade show in London with Mila in her pram and fell in love so much with the ball chair, that I bought one from the stand and headed back to Bristol in the train with the pram, the baby and the hug ball chair on top of the pram.